Android Multi Tools is a smart tool for every Android smartphone. Now the latest version of this file is released and the download link for this File is able for free. This is now the latest and updated version. 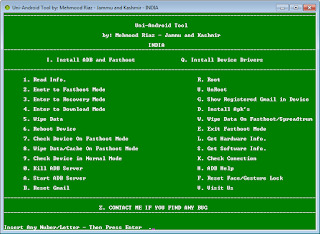 Android Multi Tools is developed for Android-based operating systems. Users can easily able to unlock their Smartphone from any lock. If you are in trouble using your phone and your phone is locked for any reason and you want to unlock your phone. Just use Android Multi Tools to unlock your Android smartphones from any kind of looks like a pattern lock or a pin code. Many times the Android phone users place any pattern for there phones but after placing the pattern or a pin lock they forget the lock. If you are also facing problems like this so you can easily remove this pattern lock from your phones using Android Multi Tools. You can use this tool by installing this on your Windows operating systems. First, you have to download this tool from the given download link and after this, you have to install it on your Windows operating systems. Once you install Android Multi Tools on your desktop just connect your phone to the PC using any DATA cable and unlock the phone using a simple stuff. Now, these days Android Multi Tools is the best Android pattern lock remover software on the market. Many peoples love to use this tool to unlock their phones. In the world there are millions of users uses the Android Multi Tools to unlock their phones and they also use this tool for free. The developers allow you to use this tool for free and don't have to pay anything to the developers. The developers implement many new and useful features with this new setup. You can explore many multiple features with this new and updated version. To use this software the process is very simple you just have to follow the on-screen instructions to easily unlock any phone. The link is direct and free just click on the given download link and the download starts. Easy to operate on any Windows operating system. Help you to unlock every unlock Android smartphone.